Dateline Irrawaddy: How Should Myanmar Respond to US Sanctions? Analysis: Are Sanctions the Answer in the Rakhine Crisis? Famous DJs will perform at this event. Nov. 11, 4 pm. The One Entertainment Park, Paw Hsan Hmwe Street, Thuwunna. 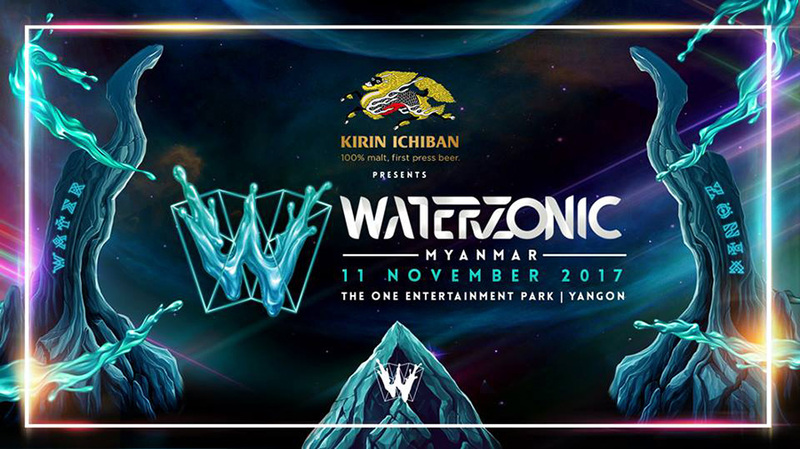 Tickets 25,000 kyats to 120,000 kyats at www.waterzonicmyanmar.com. Dozens of famous singers will be at this concert. Nov. 12, 6 pm. Thuwunna Stadium. 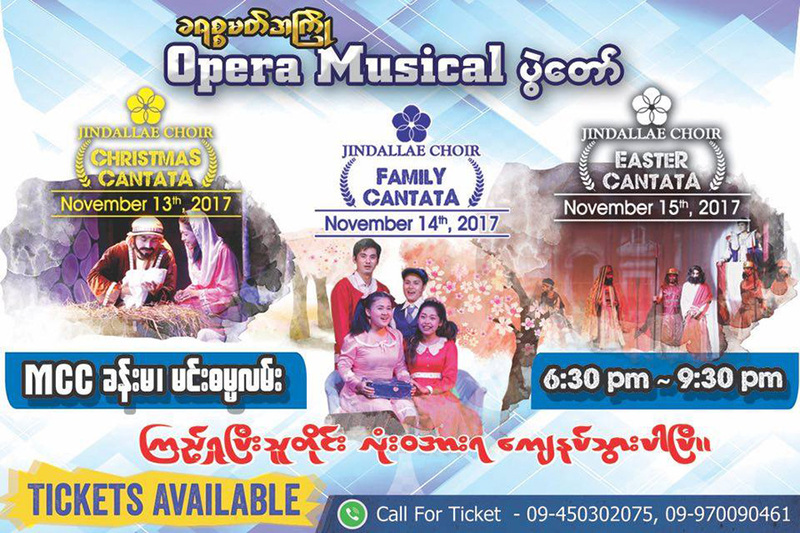 Tickets between 5,000 and 50,000 kyats at 1876, and 09-451010789. Discounts up to 30 percent will be offered at the first anniversary of Kant Kaw Wut Yee Book House. Nov. 10-12. No. 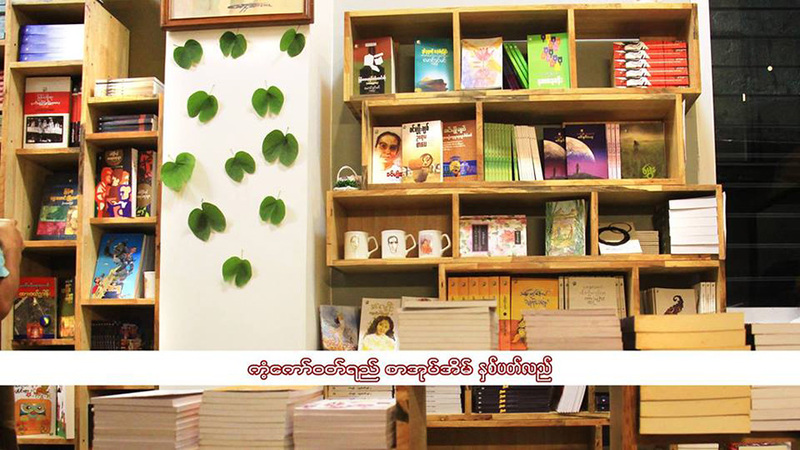 51, Ye Kyaw Street, Pazundaung Tsp. Singers AR-T, Sophia Everest, Raymond and John will be at this event plus outdoor games and activities. Nov. 11, 5 pm to late night. The Penthouse, Bagayar Street, Sanchaung Tsp. Free Admission. A concert to welcome Christmas will be held for three consecutive days. Nov. 13-15, 6:30 pm. Myanmar Convention Center, Min Dhamma Road, Mayangone Tsp. Tickets between 2,000 kyats and 8,000 kyats at 09-450302075. 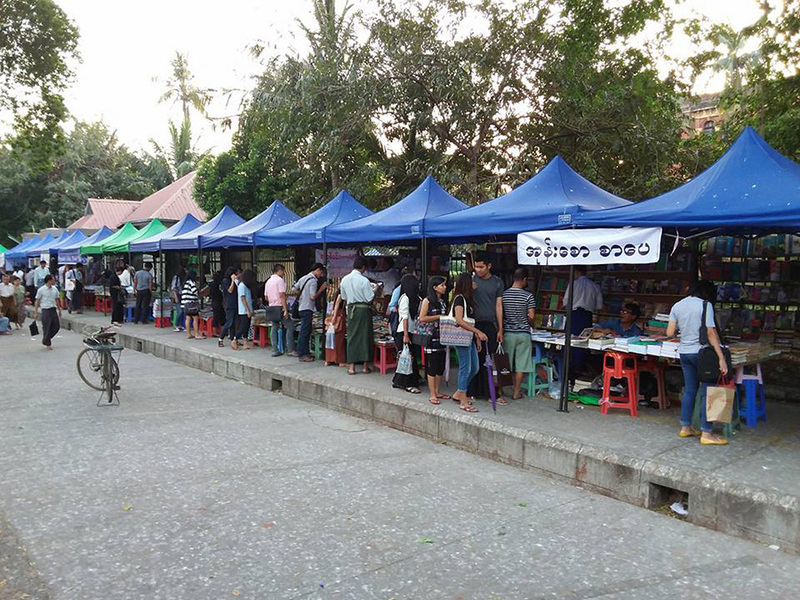 Yangon Book Street is back on Thienbyu Road on weekends for bookworms. Every Sat and Sun. Theinbyu Road. 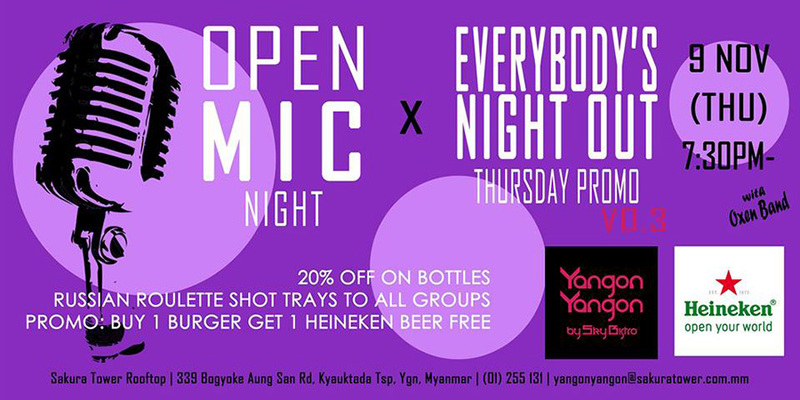 There will be an open mic event at YangonYangon Bar. Nov. 9, 7:30 pm. YangonYangon Rooftop Bar. Happy hour: 5-7 pm. 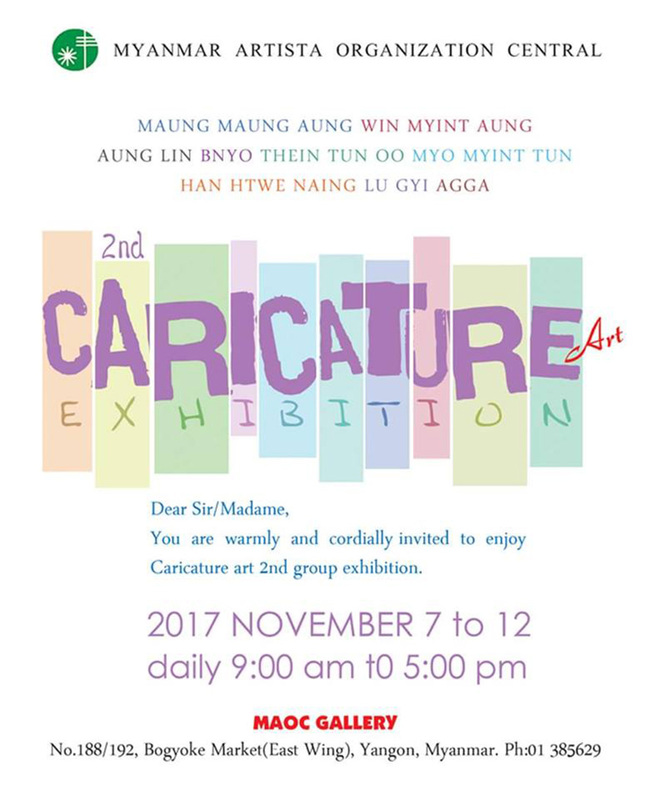 An exhibition of nine artists will showcase caricatures of local and international personalities. Nov. 7-12. Myanmar Traditional Artists and Artisans Association, Bogyoke Market. 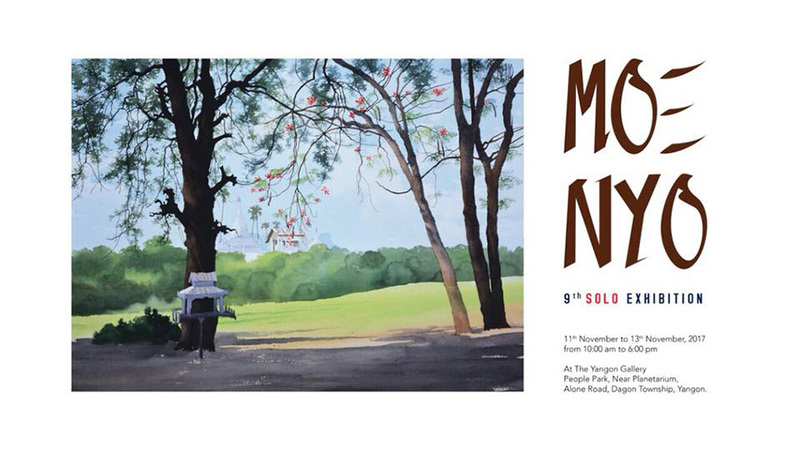 This solo art exhibition will feature trademark watercolor landscapes of artist Moe Nyo. Nov. 11-13. Yangon Gallery, People’s Park. 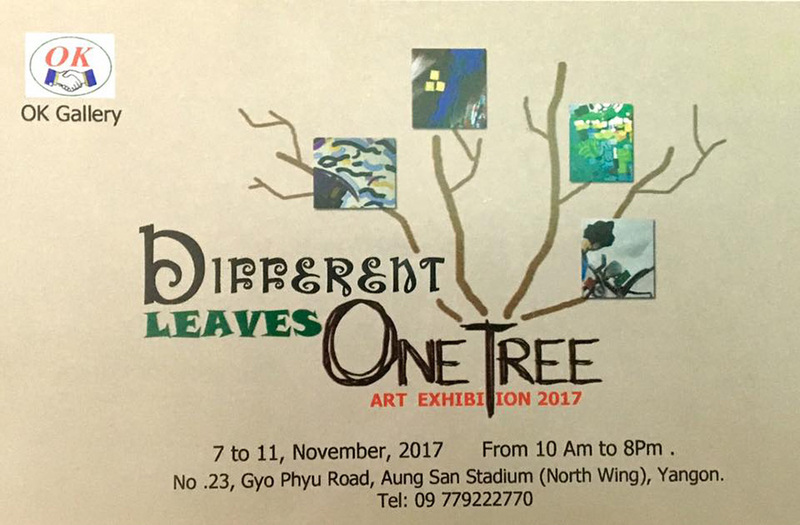 This is a group art exhibition of four artists. Wei Yan Aung The Irrawaddy Wei Yan Aung is Researcher at The Irrawaddy.